EZ Locate offers licensed private investigative services to it’s customers in the form of various locate/search/skip products. EZ Locate utilizes the latest Skip Trace Technology to help you find the data you're looking for. A person, address and any asseet. EZ Locate has saved us countless hours of production time. No more researching each individual serve to find the correct address. Batch processing is the way to go. How does EZ Locate help your firm? 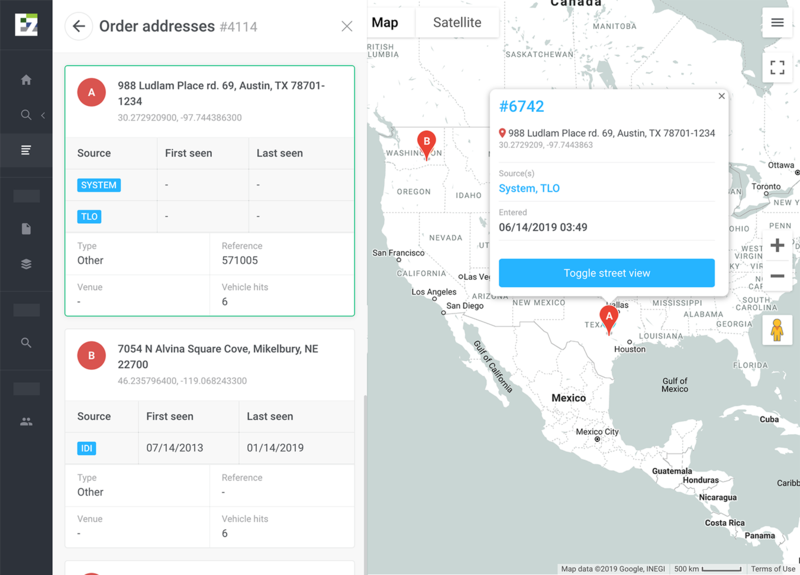 EZ Locate is a web-based application that offers automated skip tracing services with the option of client review or EZ Locate Employee review. Skip tracers and investigation agencies are currently logging in to multiple service providers to locate new addresses and assets listed for individuals. This new innovative product will assist in saving time and help increase production by providing results from numerous investigative sources all in one place. EZ Locate Duis aute irure dolor in reprehenderit in voluptate velit esse cillum dolore eu fugiat nulla pariatur. Excepteur sint occaecat cupidatat non proident, sunt in culpa qui officia deserunt mollit anim id est laborum. Various address cleansing services like verification, urban, medical facility and so much more. Easily locate a person. Provides vehicle information, alerts and more.